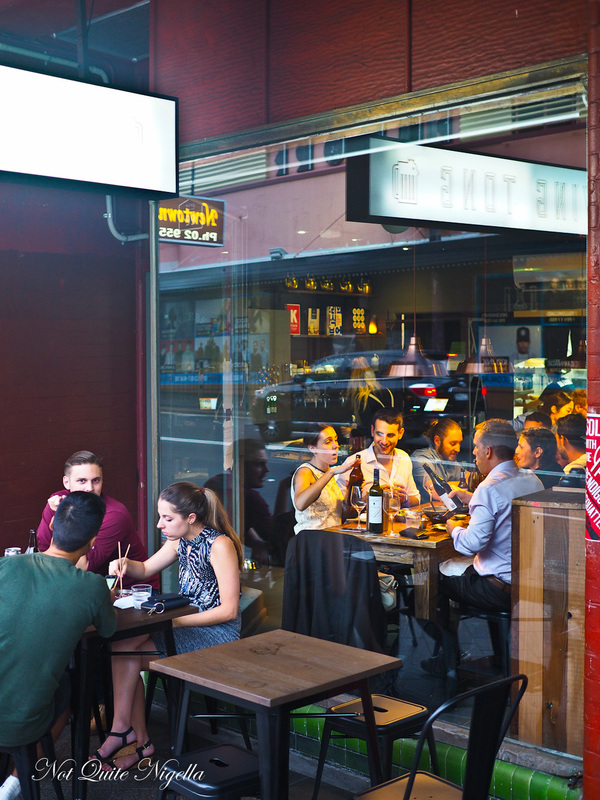 Enmore Road is home to very new eatery called The Flying Tong. 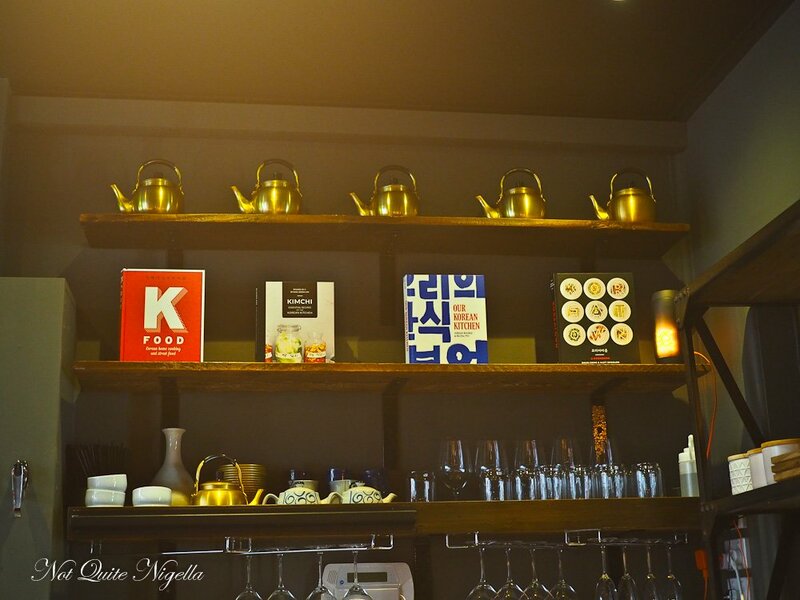 It's a small restaurant that serves up crunchy Korean fried chicken in four different flavours plus delicious seafood pancakes, ssam and other Korean favourites. It's run by sister and brother team Julie and Jeff Oh (formerly of Kobe Jones). "Oh so we were having Finnish food tonight?" 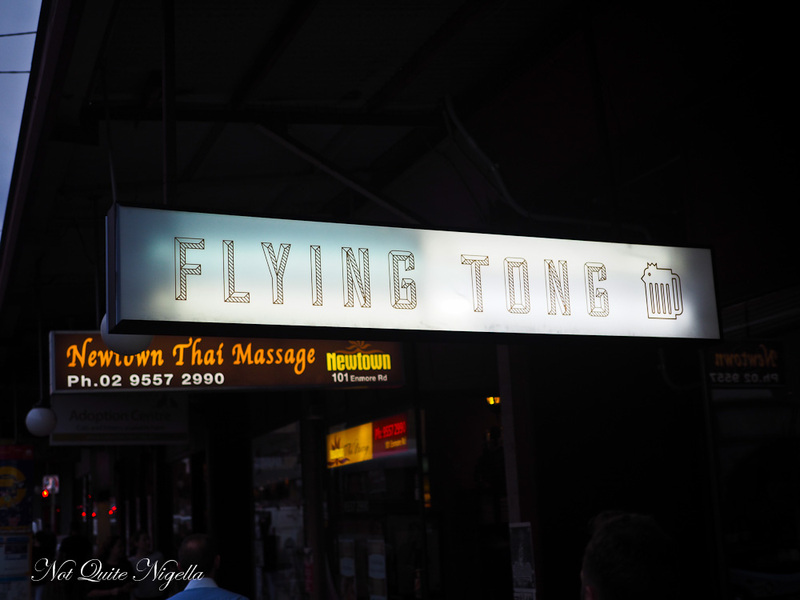 says Mr NQN, a cheeky smirk on his face when I tell him that we're off to the Flying Tong. It's not Finnish, it's Korean with a smallish but tempting menu featuring fried chicken in four flavours: original, soy & garlic, sweet chilli and chilli bomb. We're at Flying Tong with my parents as my mother loves fried food and we're trying to get my dad to branch out and try other food. Most of the food arrives at once. 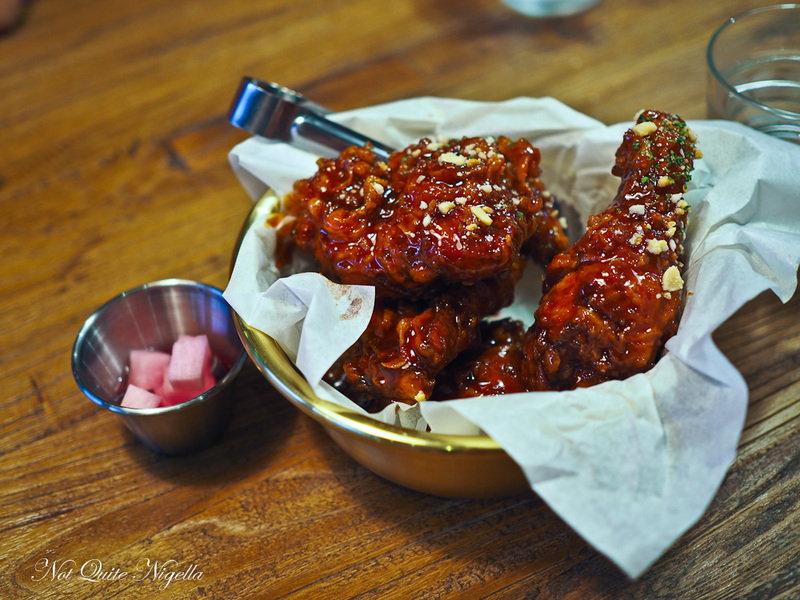 The sweet chilli fried chicken has crushed nuts on top and is very sweet and sticky. I like it but I find it a bit too sweet for me while Mr NQN adores this (and he's not usually a fried chicken lover). The breading is thick and crunchy and holds up to the thick sauce. There are four pieces of chicken in each of these serves, all different cuts so people can choose their favourite. The breading on the Spicy Bomb chicken is similarly thick and crunchy and this too has an edge of sweetness but with a fiery hot chilli hit too. It's too much for Mr NQN while I'm puffing a little while my mother is nonplussed by the heat. You're best to chase the heat with a square of carrot and daikon pickle. 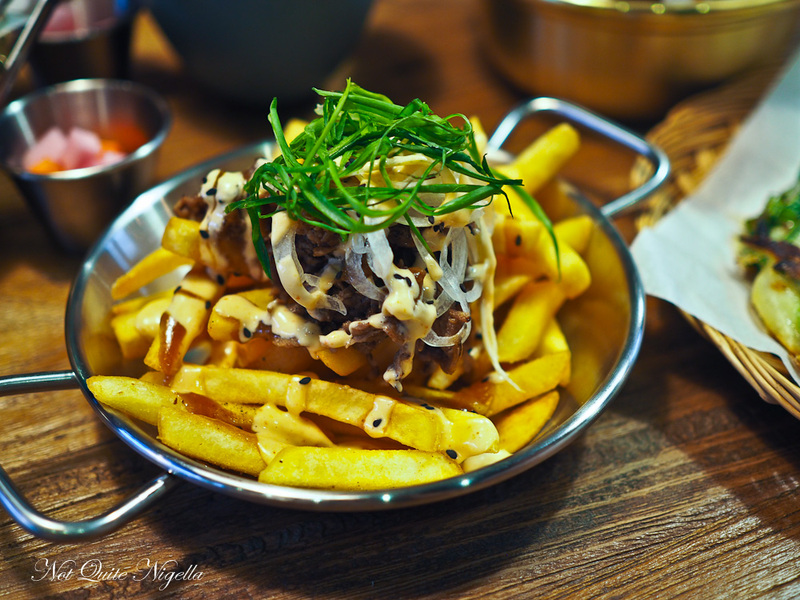 The 'gogi on these fries is bulgogi beef, thinly shredded bbq beef with a mayonnaise based dressing and soft onions. We love these fries and even my father who doesn't really eat fries reaches again and again for these. We don't even mind that the bulgogi is in whole pieces making it a tad difficult to get a bit with each fry. 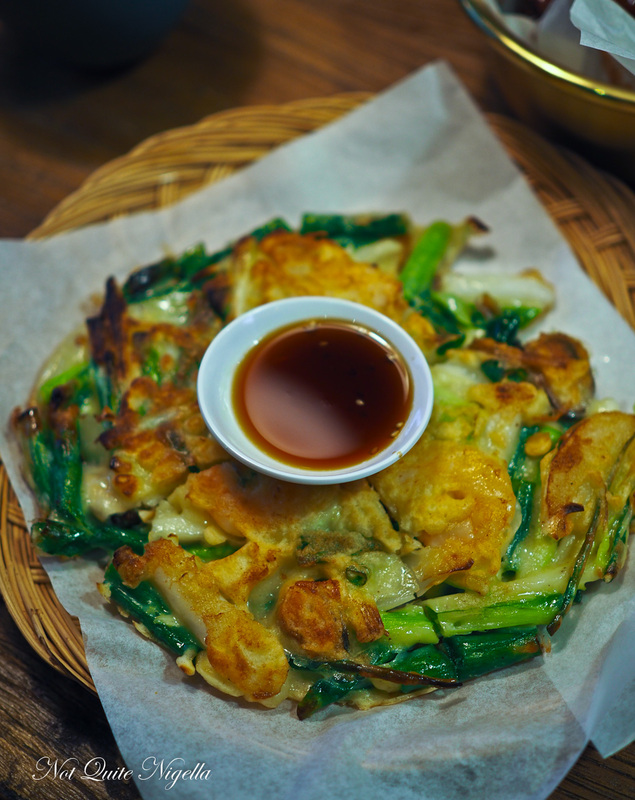 The night pancake is full of spring onions and prawns, mussels and calamari and comes with a soy vinegar dipping sauce. I find all Korean pancakes quite different. This has less batter but more filling which is actually quite good and preferable over the very batter rich ones. 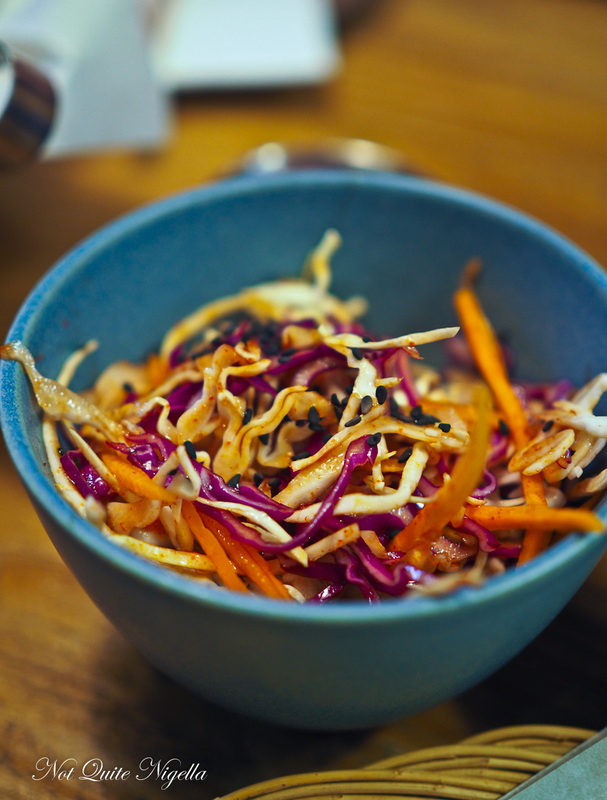 We try a bowl of kor-slaw or Korean coleslaw with red cabbage and carrot and a sprinkling of black sesame seeds. It's light and well seasoned with a good amount of crunch. 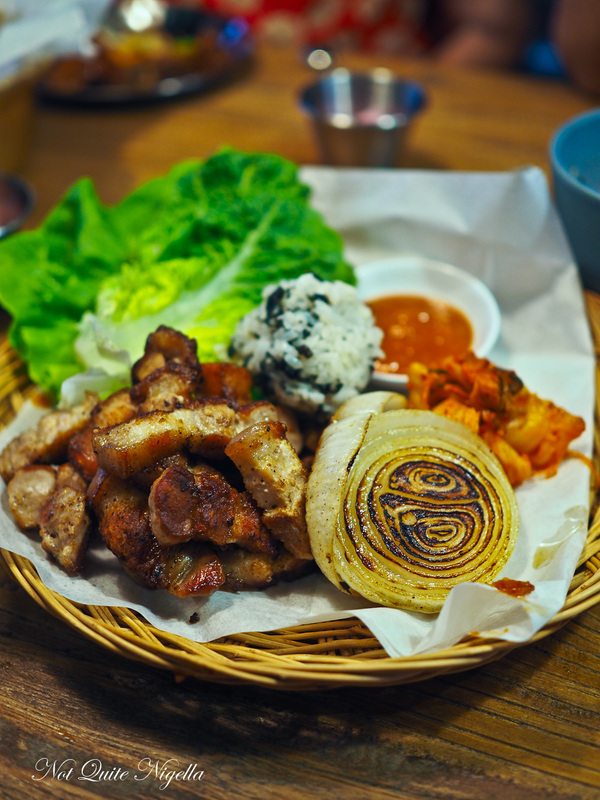 The BBQ Ssam comes out last with a good portion of pork belly pieces, kimchi, lettuce leaves, a seaweed and sesame rice ball, samjang sauce and half a charred onion hot off the grill. You wrap it up in the lettuce and eat it. I really enjoy this especially the rice which my dad declares his love for. The charred onion is sweet and goes perfectly with the pork belly. It's under an hour and we're finished eating which can only be the sort of thing that makes my father very happy! So tell me Dear Reader, do you like meals that go on for a while or do you prefer faster eat and go experiences? 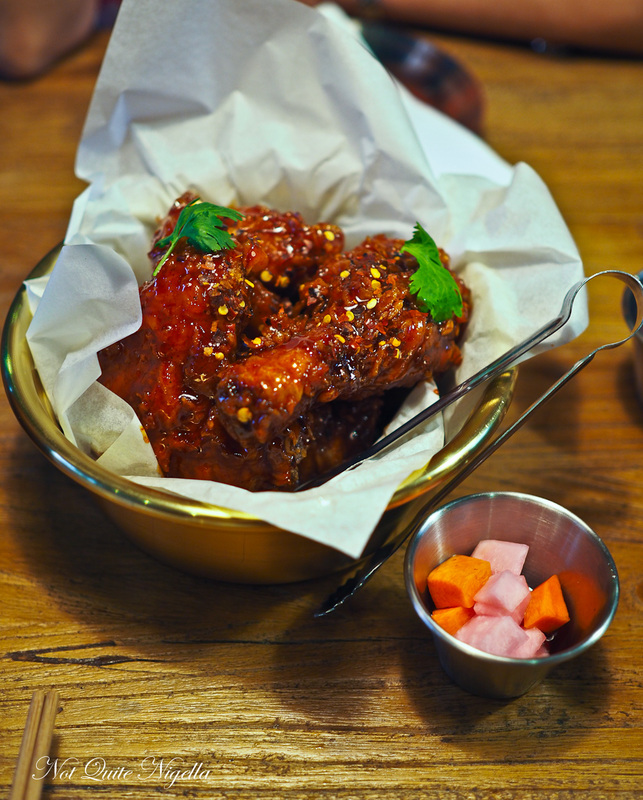 Which level of spiciness would you go for with the chicken? And what do you think of when you think of Finland?